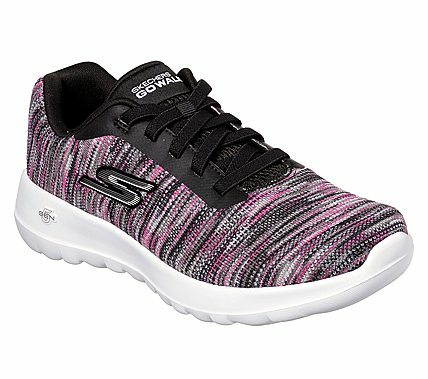 Rediscover the joy of walking in total comfort with the Skechers GOwalk Joy - Invite. Features innovative 5GEN® midsole design and an advanced mesh fabric upper with new Skechers Goga Max® insole for the most advanced walking experience ever. Slip on design with laced-look front.